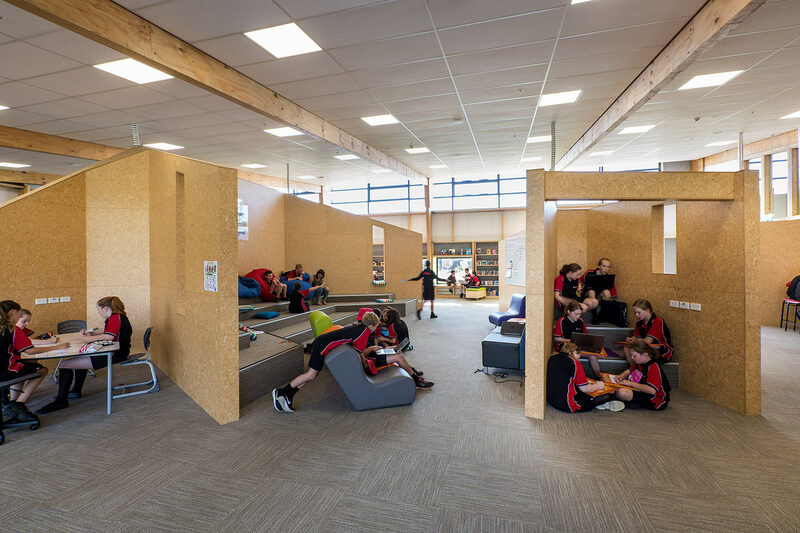 The relocation of an entire school into a single building was an opportunity to deliver the very latest in modern learning environments. Marshland School is both a primary and intermediate school (to year 8). 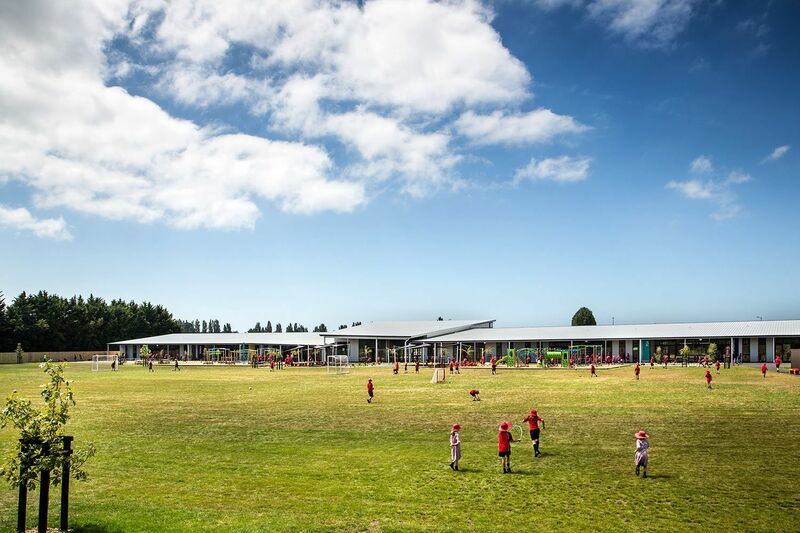 Proposed to address a burgeoning school population and ageing infrastructure, a new school has been delivered at a location nearby to its former site. 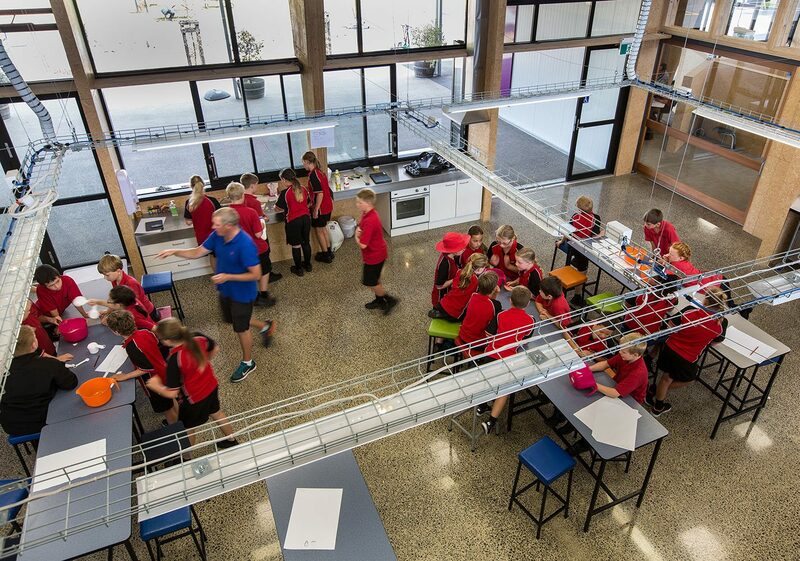 Underpinned by connectivity, the new school is entirely located within one building, uniting the school and promoting collaborative, flexible learning spaces. Included are a block of four learning studios, multi-purpose hall, library and community space, as well as three new playgrounds. Catering for 400 students, the design incorporates room to extend for up to 650 students, future proofing the school for the projected population growth in the area. 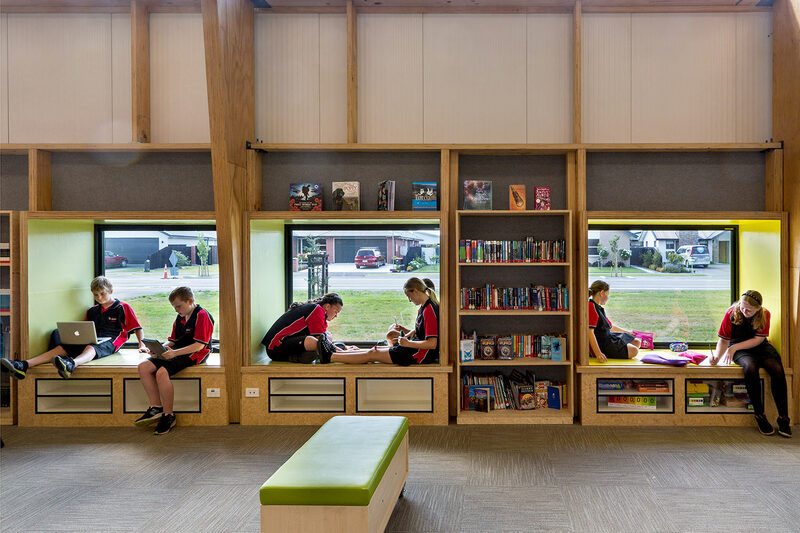 Having completed the masterplan Hayball developed the concept design, interior design and learning settings, with architecture by NZ practice Stephenson & Turner.